The weather has improved to an acceptable level and my urge to cook outside is growing to a frenzy. Adding to this that it's also National BBQ Week I thought I would share a chicken dish I made last weekend. Every Spring I get my Weber barbecue out of the shed and remember that I last used it in a rain shower and so forgot to clean it. It's a very good tip to brush off your grill with a barbecue brush after you finish cooking and while it's still warm. I wanted to try to get some beer flavour into the chicken thighs and a good way to do this is with a brine. I used a combination of Sean Paxton's beer brine and Michael Ruhlman's quick chicken brine. With a salt content of the brine at almost 10% salt by weight it's important to make sure it gets not longer than 3 hours or it will become way too salty. If you have longer make a 5% brine and then you can leave the chicken brining for a lot longer. This will give you better infusion of the other flavours in the brine. Put all the ingredients in a pan and bring to a simmer until all the salt and honey is dissolved. 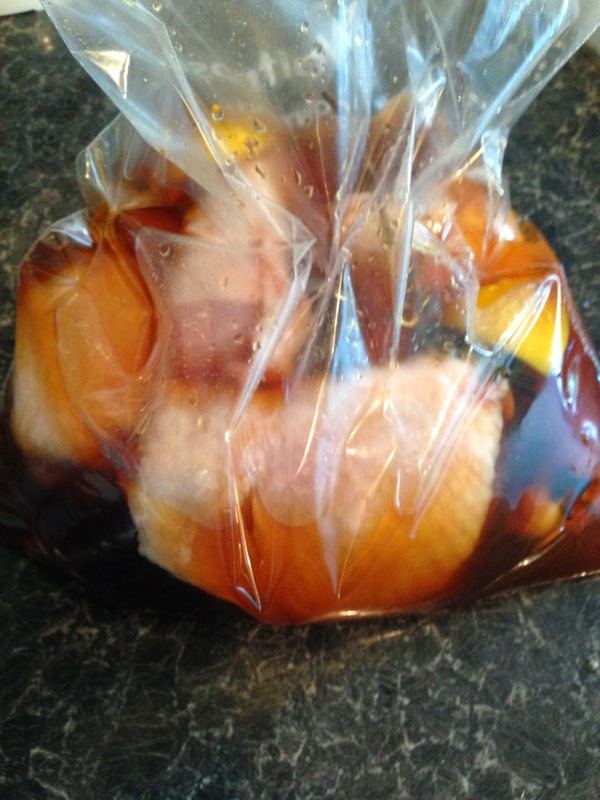 Let it cool to room temperature and then put it in a sealable bag with the chicken pieces you want to barbecue. Pop it in the fridge. After brining for 3 hours drain off the brine and pat dry. At this point I sprinkled over some of my standard barbecue rub. This is a good opportunity to use up some of those dried herbs and spices that may have been lurking in your cupboard. A mix of sugar, oregano, dried thyme, paprika, cumin, salt and pepper make up my blend. Don't overdo the rub, we want to taste the beer. 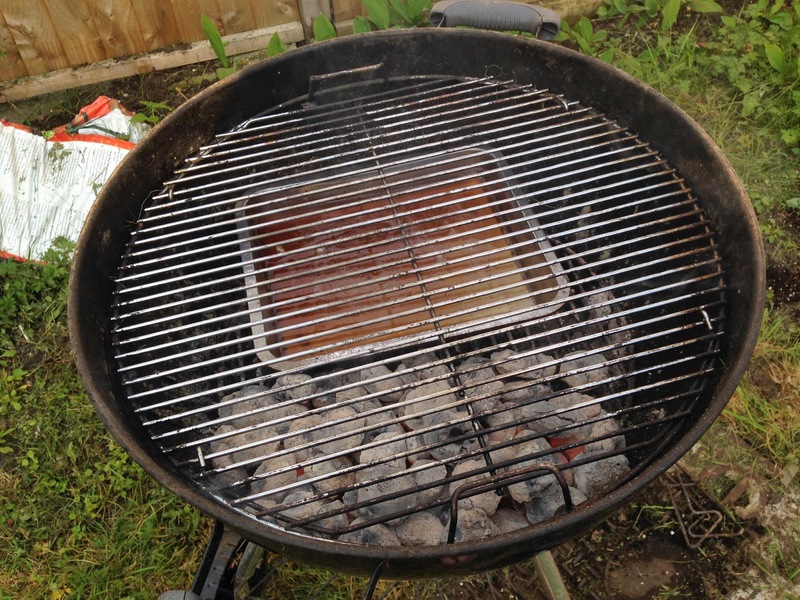 Set up your barbecue for indirect grilling - pile up the coals on one side with a drip tray filled with water (or beer) on the other. You'll cook the chicken over the drip tray with the lid closed and move it over the coals towards the end of cooking to crisp up the skin. 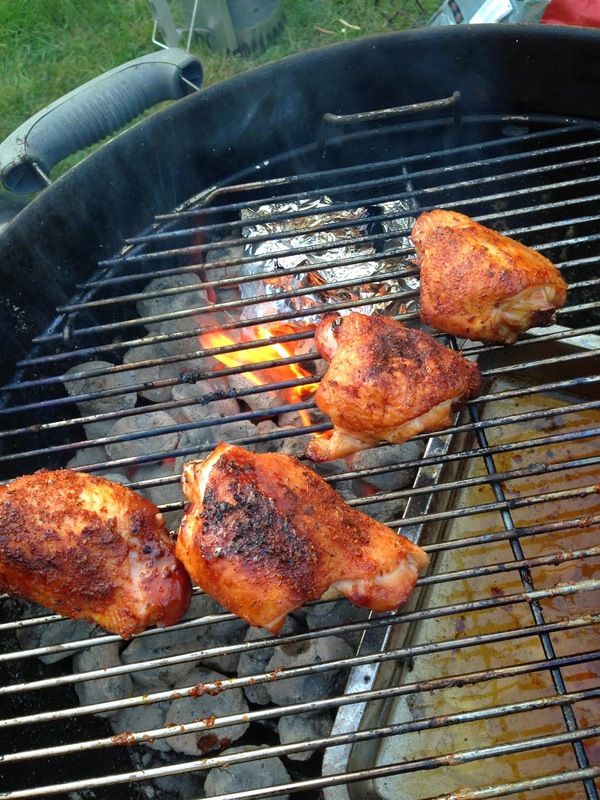 Pop some apple wood chips on the coals and you'll be smoking as you roast. 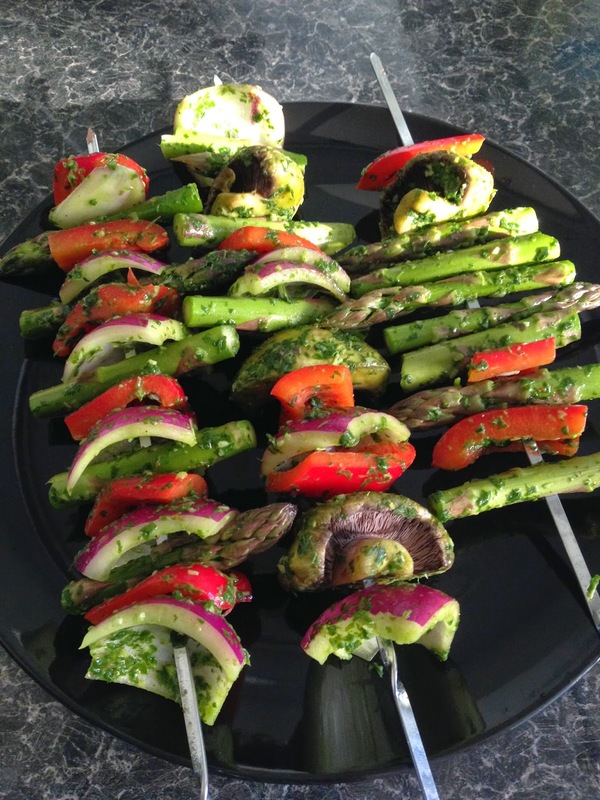 To accompany we had these pesto marinated veggies. Asparagus on the barbie is the future. 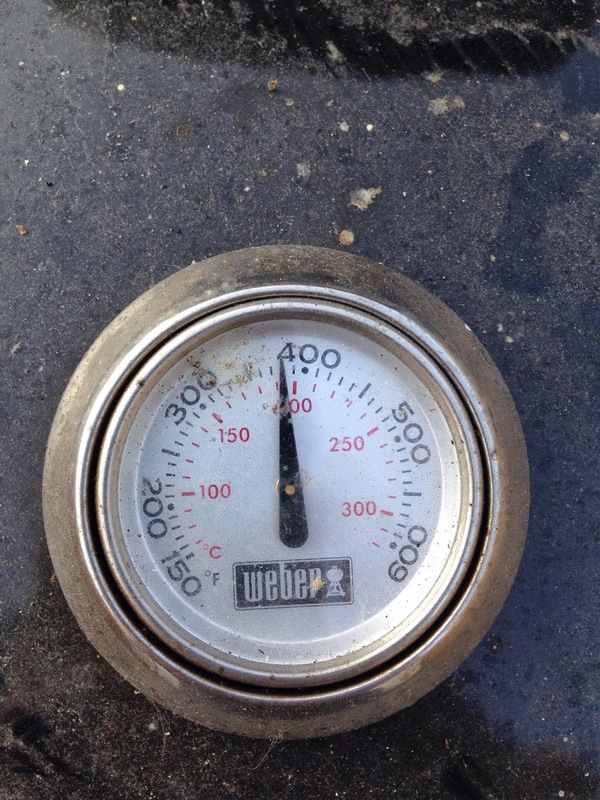 The beauty of the Weber is that with the lid on and internal thermometer it acts like an oven. You do have to adjust the airflow to get the right temp. If you don't have a Weber then an instant read thermometer through the vents in the lid will give you an indication of the temperature under the lid. 40 minutes at 180 to 190C and the chicken is cooked through. 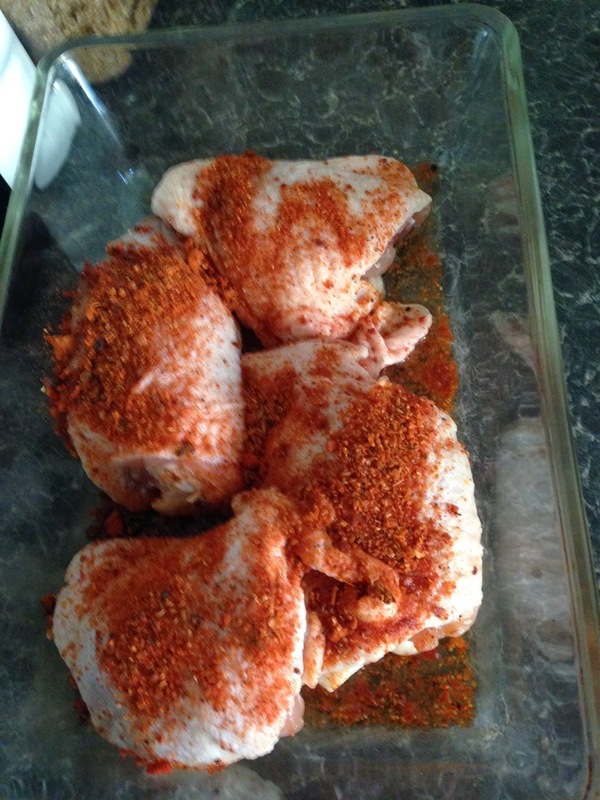 Move it over the hot coals to get some browning on the skin and you're chicken is done. When you barbecue make sure you chuck some corn on the cob on the grill. Corn is at its best cooked over charcoal and then smothered in butter and chilli flakes, you won't regret it.